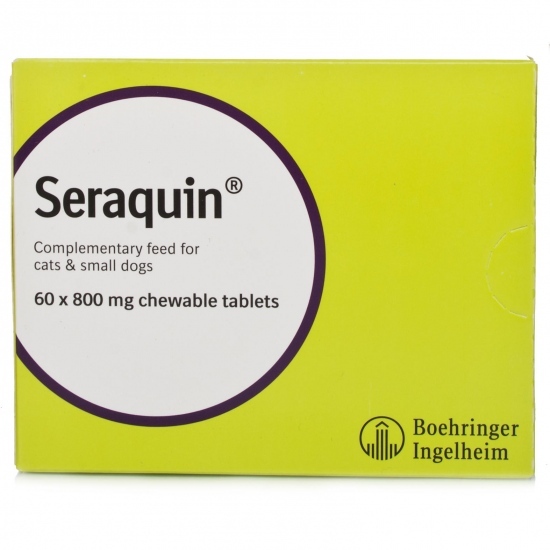 Seraquin 2g is a joint supplement containing Glucosamine HCL and Chondroitin Sulphate. These are ingredients which are naturally occurring in the body, as part of the make-up of cartilage. Each tablet also contains tumeric extract (curcumin) for flavour. - 40kg + - 4 tablets daily.